Trout fishing is an exciting activity you can engage in your leisure time or as a hobby. In recent years the spinning reel has become the reel of choice for trout fishing. For you to achieve success in trout fishing, choosing the best spinning reel and rod that are ideally synchronized will mean better, more precise casting, and yes, catching more fish. This article presents some of the key features you’ll want to be aware of when shopping for a trout spinning reel and discusses the pros and cons of our top 8 brands. 1.9 ​Is there a Warranty? There are some things you have to consider before purchasing a trout spinning reel. Typically, a light or medium reel and rod combo are suitable for smaller trout species such as the rainbow, golden and brown trout. A medium reel and rod combo will suit more abundant species such as the lake, speckled and steelhead trout. Many fishers make the mistake of selecting just any spinning reel and rod that comes their way ignoring essential factors that could have influenced better selections that would pay high dividends in ensuring a more pleasant fishing experience. 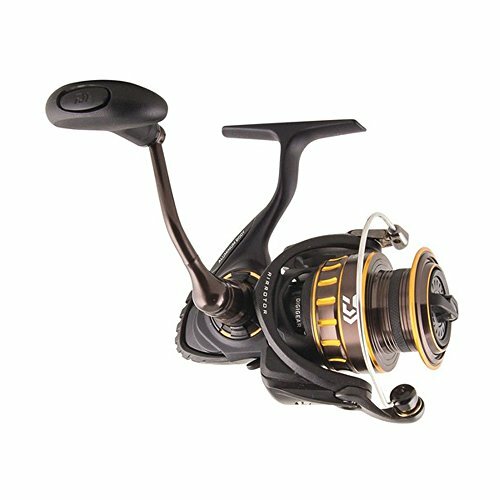 The many features discussed in this article is intended to help you make the right choice in purchasing a spinning reel specific to your fishing needs. The consistency of the spool usually measures reel gear ratio during its rotation on the handle. If you have a trout spinning reel with a 6.4:1 gear ratio, each time the handle is turned, the outcome will be a turn of 6.4 times by the spool. Reel gear ratios come in low, medium and high. The higher the gear ratio, the quicker the line recovers. Reel sizes are designated by numbers, i.e., 1000, 2000, 2500. The numerals designate the size of the spinning reel. Larger reels have higher numbers and can effortlessly tackle larger, heavier fish. 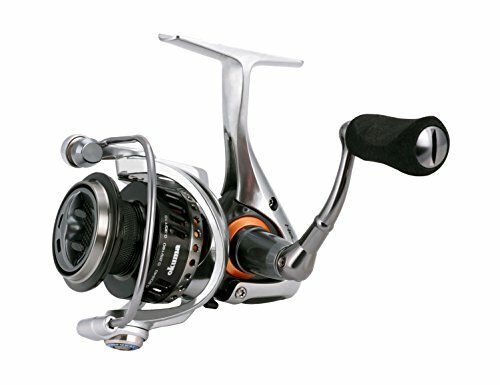 Also, a heavier reel has greater drag power, line capacity, and gear ratio. On average, a 1000 or 2500 reel size is ideal for most trout fishing. Some manufacturers make a less heavy 3500 reel with a higher gear ratio and capacity in line storage. The drag system is an essential part of your trout fishing experience. The drag system is the applied resistance on the reel spool that prevents your prey from falling off. It is wise to look for a reel with 20-lbs of halting force at the base. A high drag control enables you to reel in large and powerful fish species easily. It also assures that the reel or rod doesn't break easily under strain of pesky fish. The portability of your reel should be paramount and will significantly influence your choice of a trout spinning reel. You should always go for a reel that is lightweight. The lighter your rod and reel are make the fishing experience less onerous. Notwithstanding, the weight of the reel becomes a choice you should make dependent on your personal fishing needs and species of fish you will be fishing for. Despite the ease of use of spinning reels, there are some underlying issues that even the most experienced fishers experience when utilizing them. A properly spooled line can eliminate many of these problems onto the reel. It appears that pretty much every angler has his or her particular thought on the most proficient method to best spool a reel. It appears that pretty much every angler has his or her particular thought on the most proficient method to best spool a reel. It is essential that you appropriately coordinate the measure of the line you wish to put on your reel to the extent of the reel itself. Spinning reels are for lighter braided lines, and smaller lures. Heavier monofilament and fluorocarbon lines don't perform well on spinning reels because the width of the line is too large that the spooled line will hop off the reel spool when throwing. This can be problematic. The anti-reverse off setting on a spinning reel is a component that keeps the reel from turning in reverse and connects with the drag. Some reels have an anti-reverse switch that enables you to choose whether it is locked in or not. This feature has helped individuals "back-reel" instead of allowing the drag to battle the fish. This is an old-school strategy which can be incredibly compelling on smaller fish. Consider buying a reel with this feature if you feel this is a technique you might like to use. Spinning reels are usually made from either aluminum or graphite. Some reels may include both components in their construction. 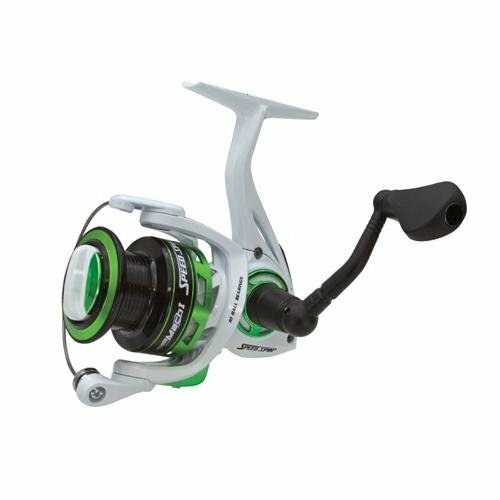 Quality freshwater reels tend to have aluminum bodies; nonetheless, if salt water is your preferred fishing grounds, graphite should be your preference because it is more resilient and can withstand the rigors of the saltwater air and water. Determine whether or not a warranty is included with your purchase. It’s always wise to buy a product that carries a guarantee of some degree. A warranty gives you comfort in knowing that the manufacturer properly constructed the product, out of proper materials and stands behind it. The Shimano Stradic Spinning Fishing Reel is a trout fishing spinning reel that makes your fishing fun. It features a Magnum Lite rotor that delivers lightweight and ease of use. 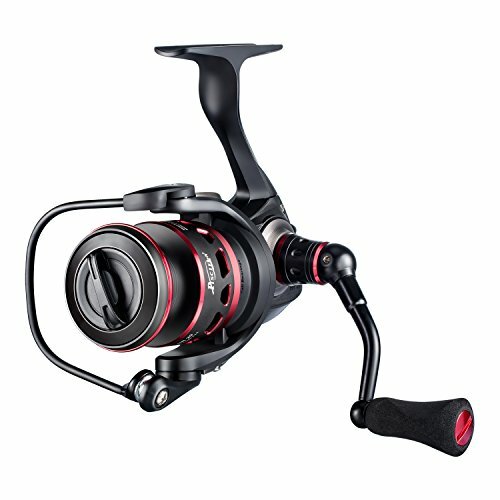 Included is the Hagane gear that strengthens and offers the durability of the primary gear reels. Shimano offers you a refined angler experience, and with its G Free Body, you’re sure of having a balanced internal component. It features a lightweight carbon body construction that maintains its rigidity and reduces the weight. It was built with concepts such as HAGANE body, HAGANE gear, Core Protect, Magnum Lite rotor and X-SHIP which is one of its upsides. Another upside is its versatility. You can use it for small trout, near-shore saltwater application and predator fish such as perch, pike, and zander. One downside to this spinning reel is its cost. It’s one of the more pricier reels in this category, but worth it if it fits within your budget. Abu Garcia features a MagTrax brake system that gives consistent brake pressure for accurate casting. Its Power Disk drag system provides smooth dragging needed for taming high-weight fish. The low-profile design on Abu Garcia gives you an ergonomic edge that helps you outlast your catch. The Duragear brass gear, machine double-anodized aluminum spool and the one-piece graphite frame offer durability, so you’re sure of having the same efficiency and operation on your Abu Garcia trout reel even after years of use. If you’re having trouble with fishing, the baitcasting reel and recessed reel foot on Abu Garcia gives you the best use even in harsh fishing applications. If you’re looking for a quality and efficient spinning reel for trout and you have limited funds to make the purchase, you should consider buying the Pflueger President Spinning Reel. 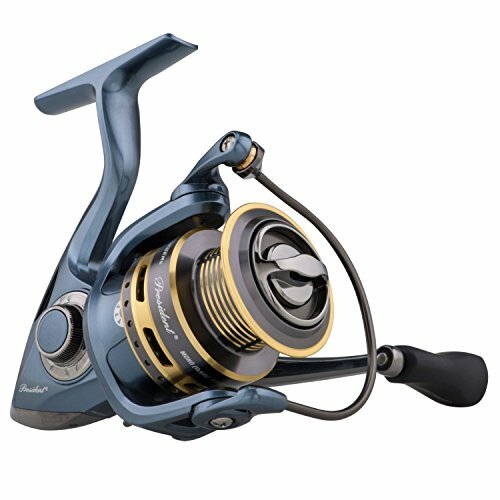 Pflueger features a graphite reel construction that delivers lightweight design. There are an anti-reverse and 10 bearing system that is corrosion resistant. The multi-disc sealed drag system offers excellent quality at a maximum drag rating of 8-lbs. Pflueger also has slow oscillation gearing that reduces line twist and improves line lay. The braid ready spool allows you to tie the braid to the spool without hassles directly. If you’re actually looking for a cheap trout reel or just looking for an addition to your other trout reels, the Pflueger trout reel is a perfect choice. One of its main selling points is the ability to convert the reel from the left to the right-hand use position. 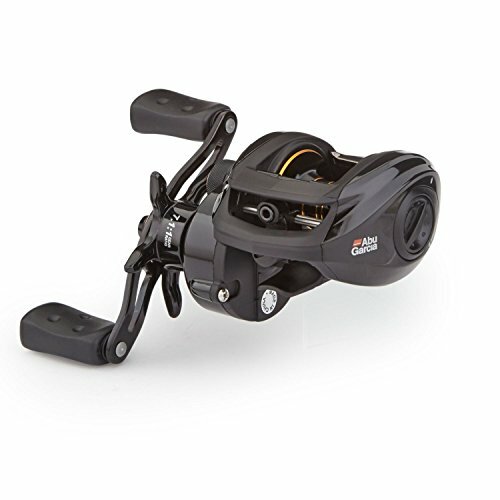 The Daiwa BG 3000 features a black anodized machined aluminum housing that keeps the internal part secure and stable. There is also an air rotor and waterproof drag system. If you’re looking for a trout reel that has an extended gear life, you should go for the Daiwa BG. It features an over-sized drive gear system that increases gear-tooth contact and also provides power and increased torque. The BG has a solid screw-in handle that keeps your handle arm and main gear in place throughout your fishing. There is no shifting in the reel handle. A feature that provides you with total control when rotating the handle. The ABS spool included allows you to spool your reel without fear of tangles. Okuma Helios is a fantastic trout reel worth having. It features eight stainless steel and corrosion-resistant bearings for high performance. It has a long-strand carbon fiber body that delivers the best features you will need for your freshwater and saltwater fishing. There is a Cyclonic Flow Rotor (CFR) that evacuates and dries water from the reel in the event of water intrusion. 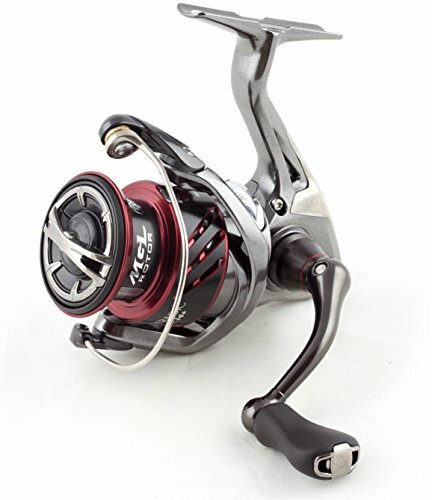 The Torsion Control Armor (TCA) eliminates twist in the reel and also maintains a great connection in the internal gears of the reel. When there is a heavy load, the Torsion Control Armor stabilizes the reel’s body and maintains gear connection. Another amazing feature on the Okuma Helios is RESII. This stands for Rotor Equalizing System and allows balance in the reel. It also eliminates spool wobbling and uses a computer-balanced weight placed in the rotor. KastKing Reel is a lighter and stronger trout reel that was designed in a way that will assure a pleasant fishing experience. KastKing features an efficient triple disc carbon fiber body that has the largest max drag of all the 8 reels in this article. The 10 double-shielded stainless steel ball bearings offer you smooth performance in your fishing. The braid-ready spool eliminates linebacking while preventing your braid line from slipping. There is also a high-density EVA handle that allows you total control even in wet weather conditions. The anti-corrosion drive gear allows for substantial power transmission and longevity of the KastKing Reel. Piscifun Reel is one of the best trout reels you’ll get out there. It was designed for professional anglers and packs all the tools you’ll need for a great fishing experience at a great price. If you’re having issues such as water and dust getting into the inner parts of your reel, that will be a thing of the past if you opt for the Piscifun Reel. It features a water-resistant sealed system that prevents dust and water from getting in and also keeps the reel in good condition even after saltwater fishing. There are cases of tangled lines when reeling, but Piscifun features a line protective roller that keeps your lines in place. There is also a high-density EVA knob that allows you to use the reel even in wet conditions. Do your trout spinning reels sometimes take time to perform? You’re in for luck as Lews Mach offers you a fast gear ratio of 6.2:1. This gives you leverage to stay ahead of the fish. It also has a smooth and silky, lightweight graphite body construction atop a 9+1 bearing system. It features a skeletal graphite rotor, 8-bearing system and reduces line twist using the oversized line roller. Housed by a graphite body and side cover, Lews Mach also features a heavy-duty aluminum wire for efficient casting. If you’re looking for an efficient drag system, you have it in the oversized and adjustable multi-disc drag system that this reel offers. The zero-reverse one-way clutch bearing and quality solid brass pinion gearing are some of its upsides. If you’re excited to dive into the trout fishing experience and you’re looking for the best trout spinning reel out there, any one of our select 8 will meet your personal needs and deliver an enjoyable fishing experience. Trout spinning reels are indispensable tools you should have when going fishing. The reels selected for this article have many features and price variations that can appeal to both experienced anglers or fisherman new to the sport and a range of prices. One thing for sure is to avoid making the mistake of choosing any old reel just because you think its quality because of its high price tag. 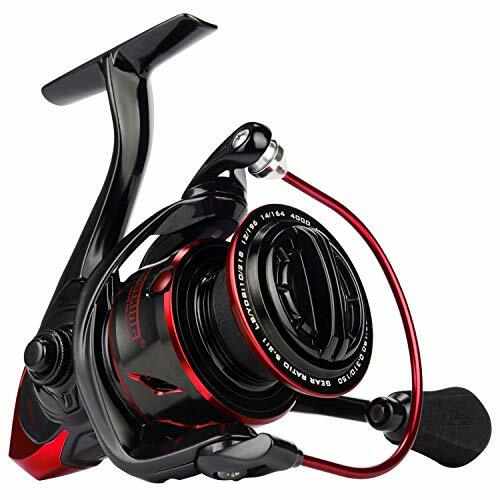 There are many reasonably priced reels out there that will suit everyone’s preferences and serve you well throughout your many trout fishing excursions.